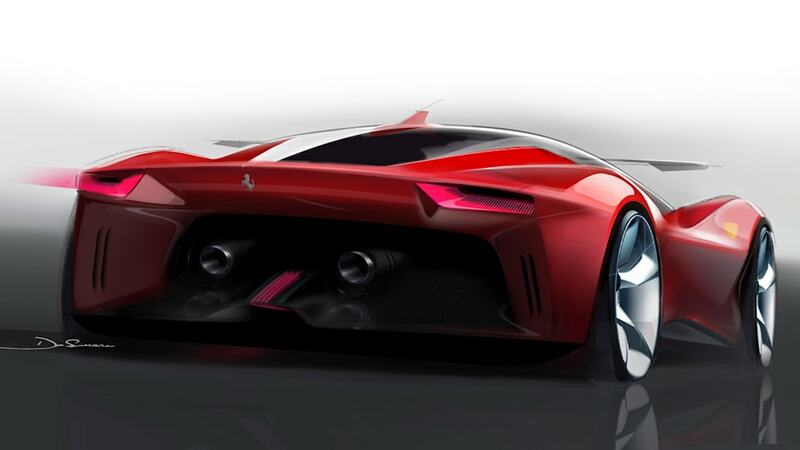 Ferrari calls the P80/C the company's most extreme one-off design ever. 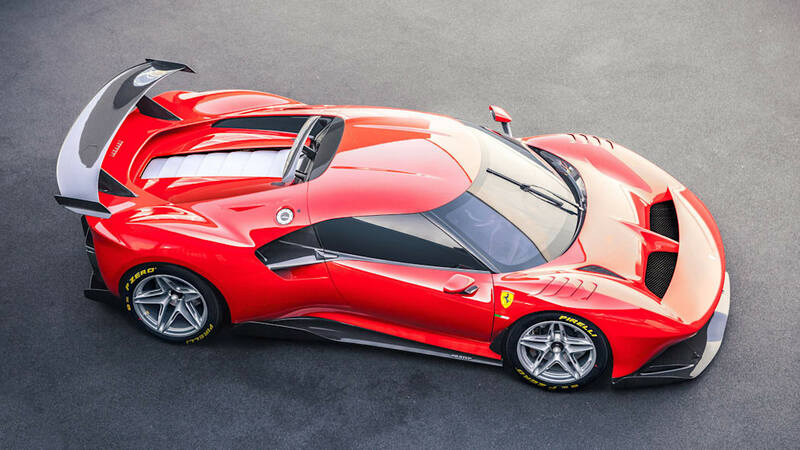 Ferrari describes this car as its "most extreme one-off design ever" and has been working on it since 2015. 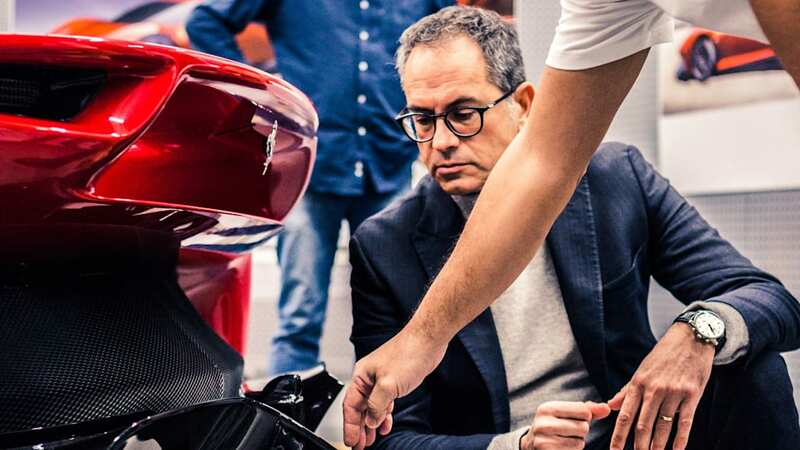 For more than four long years, one person has kept a major secret with Ferrari. 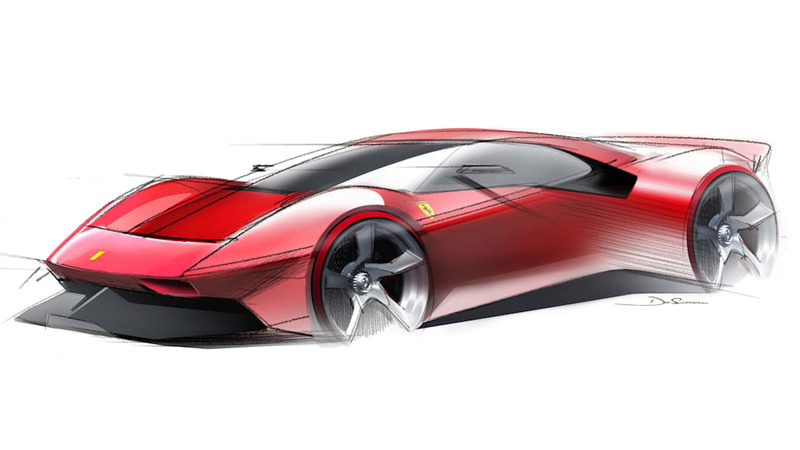 The company and the client were working on a project that Ferrari calls its "most extreme one-off design ever." 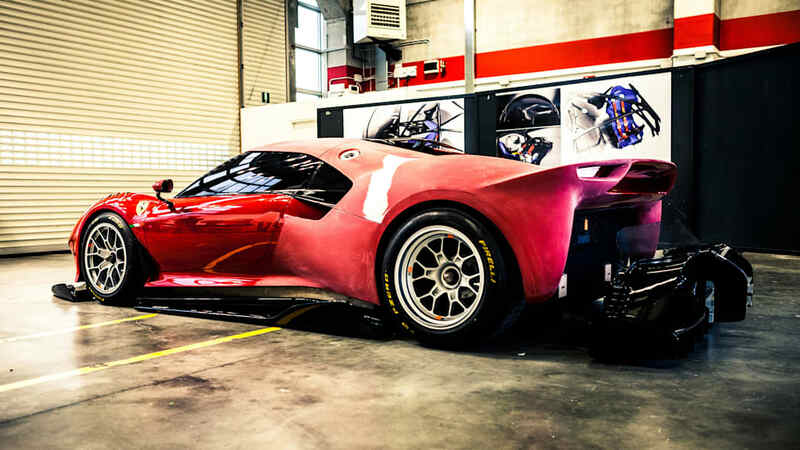 Inspired by the 330 P3/P4 and the 1966 Dino 206 S, the P80/C is a new-age take on a track-focused sports prototype. 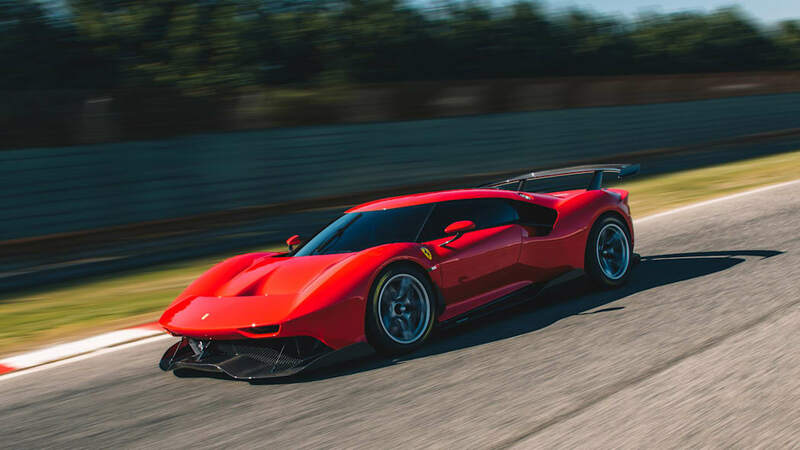 Typically for these types of specialty builds, Ferrari does as they've done in the past and reshapes a new exterior over an existing car from the for-sale lineup. 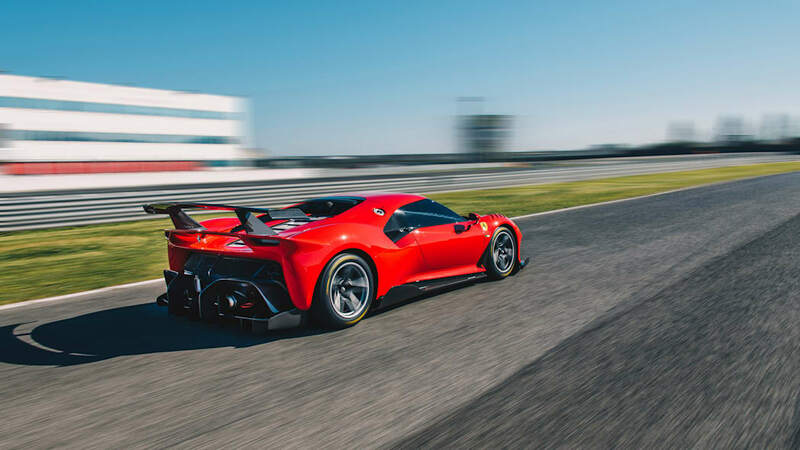 But because it is a track car, Ferrari used the 488 GT3 as a starting point, and made "radical changes" to the equipment from there. 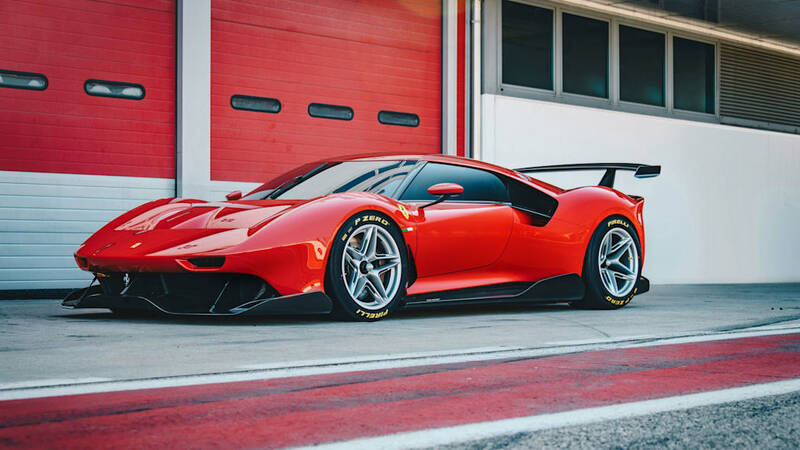 It not only has a slightly longer (about two inches) wheelbase than the 488 GTB, but it also has a cab-forward design rather than the 488 GTB's centrally located cabin. 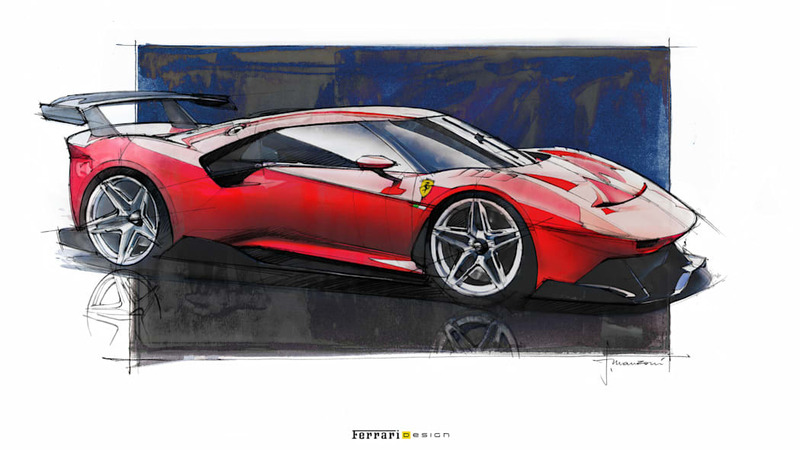 Ferrari says this allowed for more creative freedom and played a major part in how the design took shape. 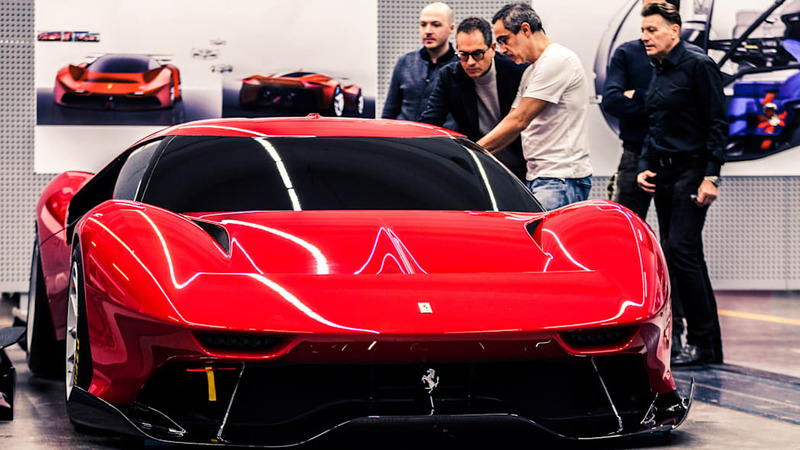 Flavio Manzoni and the Ferrari Styling Center set out to make what they described as a "Hero Car." 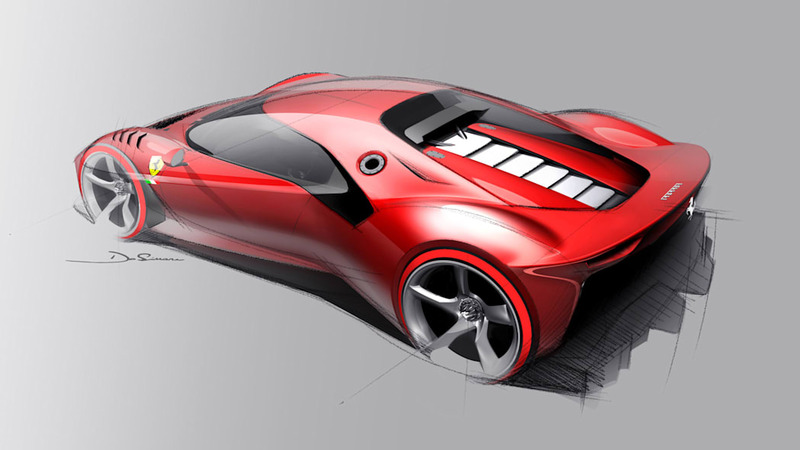 The client's direction was to make a "modern sports prototype" with design cues from the 330 P3/P4 and the 1966 Dino 206 S. These two cars carry significance in Ferrari's design history, as they impressed on the track but also influenced future road cars such as the Dino 206/246 GT. 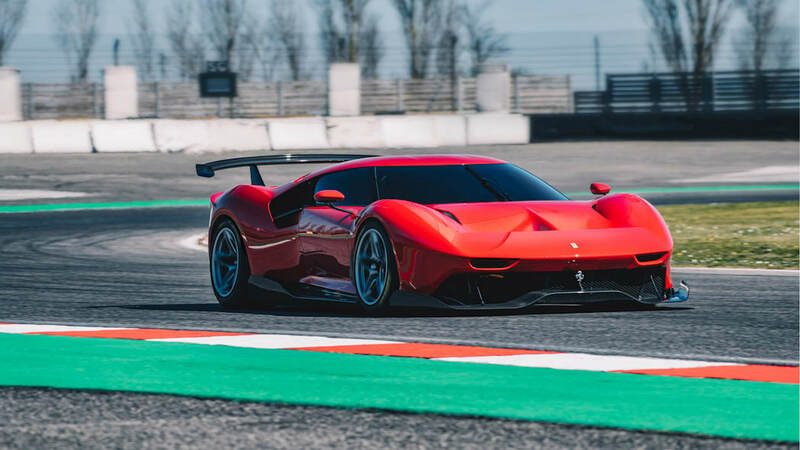 With heavy involvement from the client during the process, Ferrari has been working on this car since 2015, the longest the company has ever spent on developing a one-off. 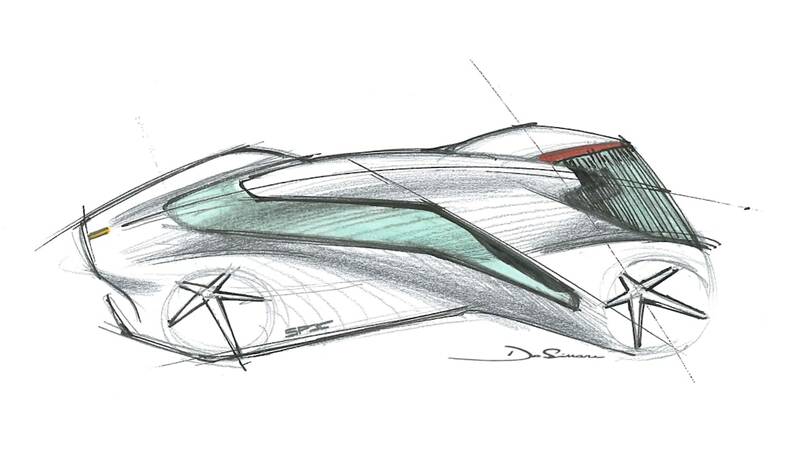 Starting from the ground up, aerodynamics played a major part in the appearance of the P80/C. 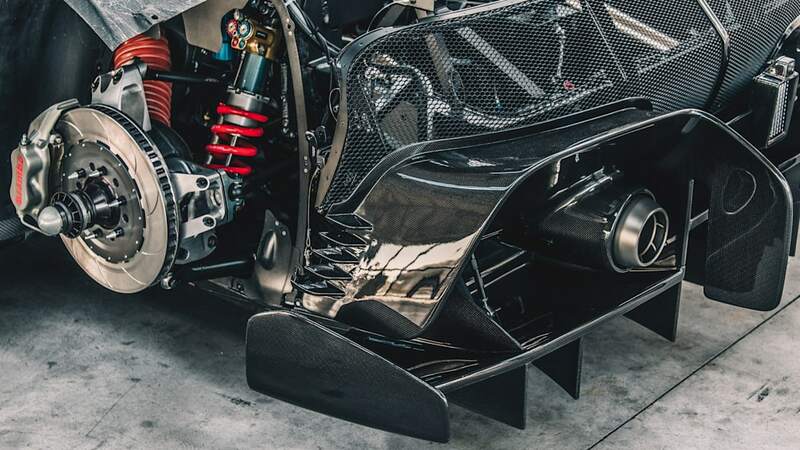 A gigantic front splitter, which is specific to this car, snuggles the ground and extends beyond the dimensions of the body. 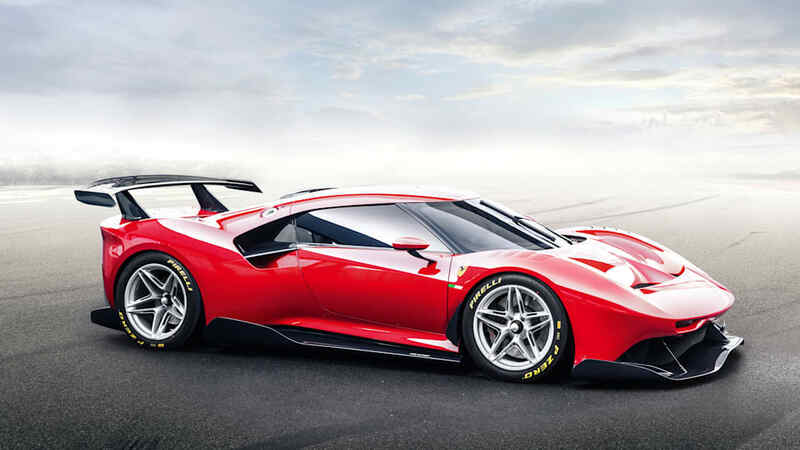 Visually, it carries on along the flanks with aero skirts, and circles around the rear with a bulky exaggerated diffuser. 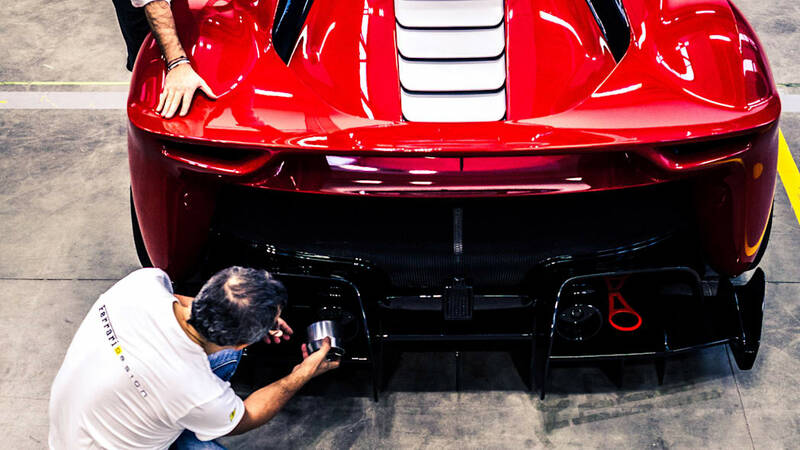 The lower kit is left in exposed carbon fiber, creating a two-piece look that's separate from the Rosso Vero body paint. 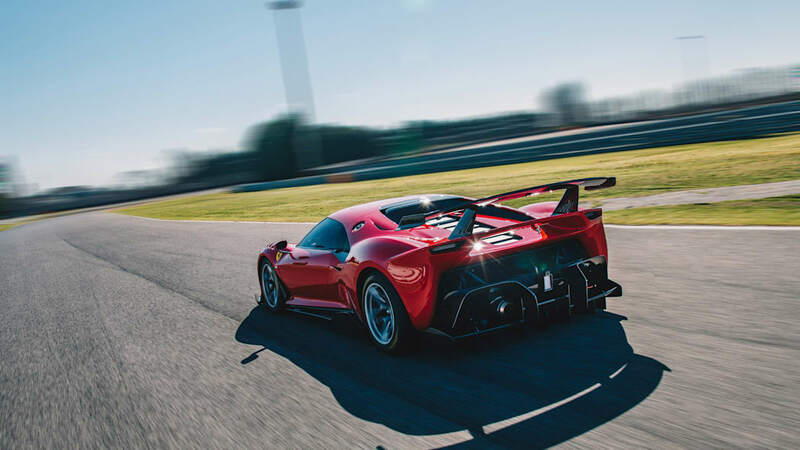 Ferrari says only pieces that were strictly functional were highlighted with bare carbon and that the car has a five percent aerodynamic improvement over the 488 GT3. For the designers, the P80/C was a safe space of opportunity and experimentation. 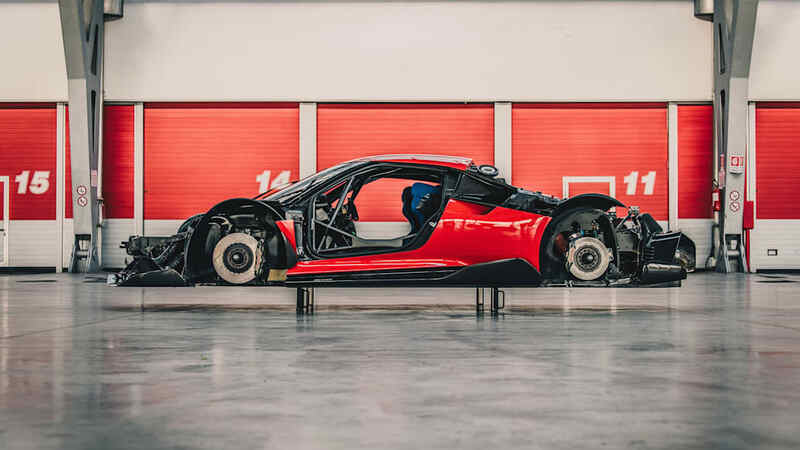 It is a track car that does not fall under racing regulations, but it's also a customer production car that is not forced into road-ready restrictions. This allowed for unique features such as the extremely tiny slit headlights, a feature inspired by the air intake housings in the grille of the 330 P3/P4, that are integrated into the car's catamaran-style nose. The appearance is mimicked in the rear lights for a cohesive design. The P80/C is robust with dramatic swoops and sharply tucked lines. The diving face, which is largely shaped by two massive radiator cooling vents, grins at the corners over the wheels before dropping back down into the belt line. It has a wraparound greenhouse that bleeds into the rear quarter air vents and creates the look of a floating visor roofline. 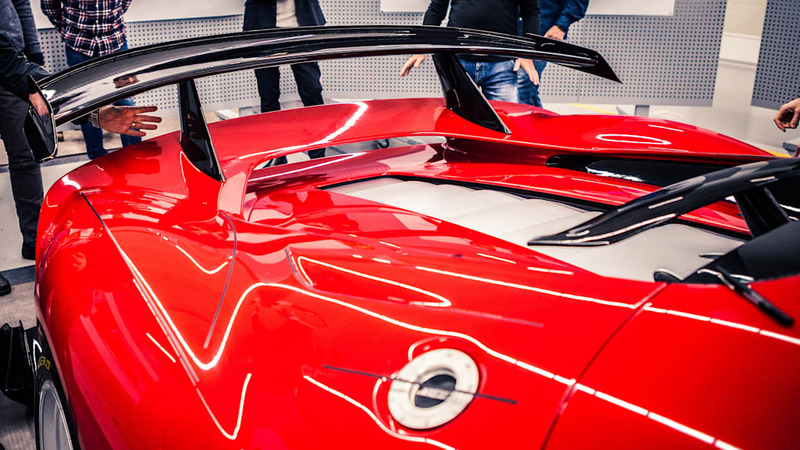 Whereas the roof typically extends over the engine on Ferrari's road cars, the P80/C's roof cuts off behind the cabin, a feature seen on the historic race cars. A pinched body flows into a wide rear that would make Liberty Walk proud. Another rarity is the dual wing setup. 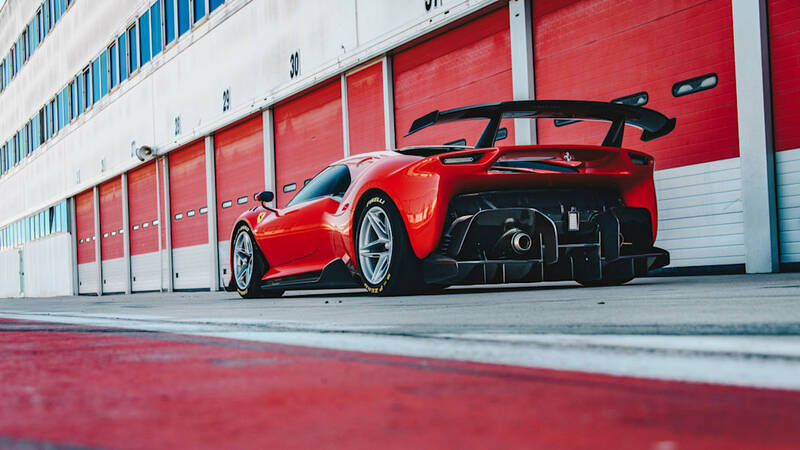 A gargantuan pedestal wing dominates a mostly exposed rear, while a second wing lies just behind the roof above the engine cover. 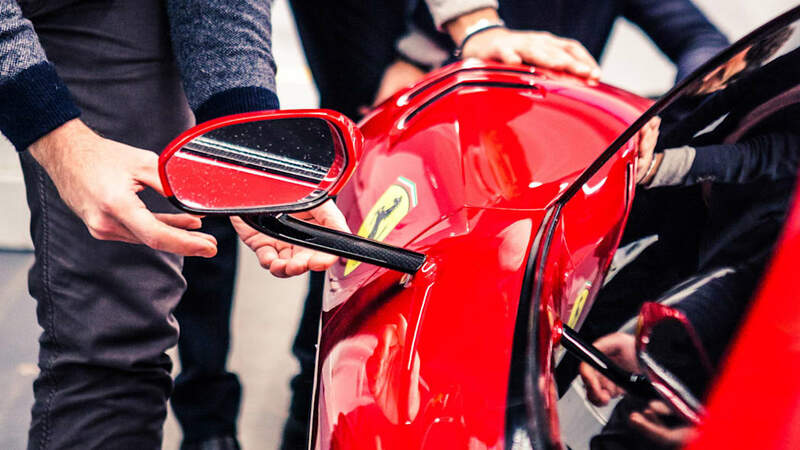 Ferrari notes the concave rear windscreen and the louvres seen on the engine cover are additional references to the 330 P3/P4. Although the car can only be used in one environment — the track — it has two different setups. 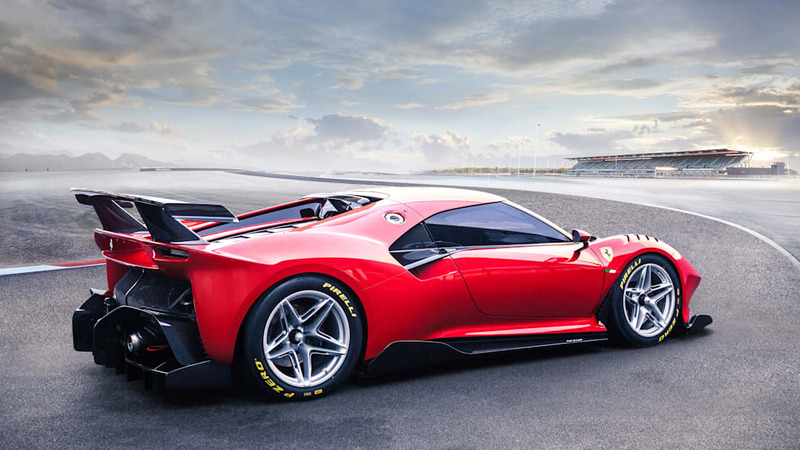 One includes the massive rear wing and has 18-inch single-nut wheels, while the other highlights the form the car, removing "aerodynamic appendages," and adding 21-inch wheels. 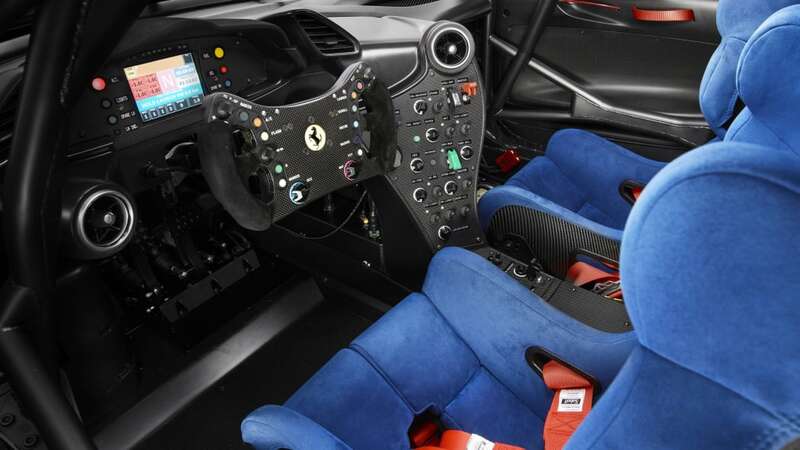 The inside reflects the track-focused intentions, as it is specced with carbon fiber paneling, an integrated roll cage, a racing style instrument panel and steering wheel, and blue racing seats. 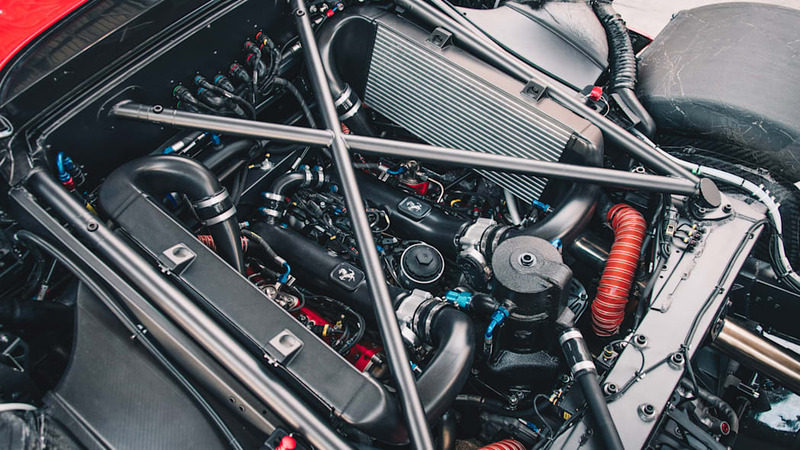 Although a performance machine, Ferrari made no mention of the powertrain in its announcement.